Season Subscriptions now avaialable for Season 14! Call the Central Ticket Office at 816-235-6222 or use the links below to purchase your subscription now! 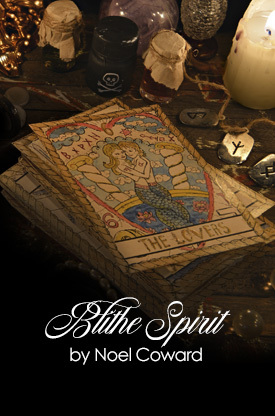 When successful novelist Charles Condomine hires a psychic as research for his new book, he ends up encountering the unexpected – the ghost of his first wife! Now he must balance his new (and very much alive!) wife with an increasingly incensed ghost in this witty comedy of manners from Noel Coward. Widely considered a theatrical masterpiece, and certainly Coward’s most spooky story, this smart and supernatural comedy is filled with rich characters, as well as a few spirited and theatrical surprises. 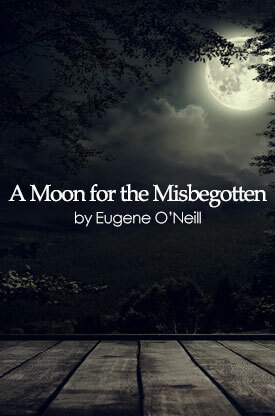 Kansas City Actors Theatre returns to the Tyrone family from our 2013 production “A Long Day’s Journey Into Night” in Eugene O’Neill’s final play, “A Moon for the Misbegotten.” KCAT artist Brian Paulette re-inhabits the role of Jamie Tyrone as he visits a recently-inherited tenement farm. There he connects with the salty Irish farmer Phil Hogan and his larger-than-life daughter, Josie. In a moving exploration of humanity at its basest and most beautiful, Jamie fights to come to grips with what he perceives to be his wasted life, while Josie faces her own long hidden desires, and the two lost souls spend an evening under the moonlight where the raw intensity of their true feelings is revealed. 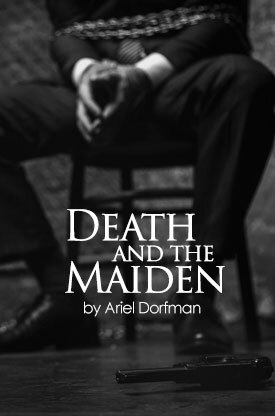 A rare sympathetic turn from the Nobel Laureate and Pulitzer Prize-winning O’Neill, this play offers powerful reflections on desire, family and sacrifice. Sensuous. Seductive. Sinister. 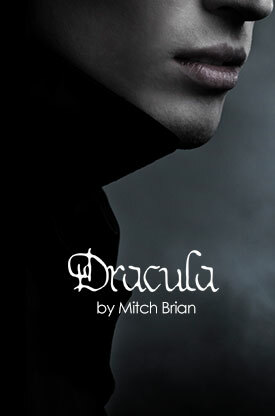 Kansas City Actors Theatre presents its first-ever original production in this fresh adaptation, commissioned by Kansas City Actors Theatre, of Bram Stoker’s gothic classic, “Dracula.” Produced in partnership with UMKC Theatre, this classic tale of obsession and desire arrives just in time for the Halloween season. Directed by John Rensenhouse after his record-breaking KCAT production of Agatha Christie’s “And Then There Were None” last season, “Dracula” promises wickedly delicious fun, thrills, theatrical magic, and intense performances. A one-time political prisoner now living in insolation is convinced she recognizes the voice of a good Samaritan as that of the tormentor from her captivity. Can it truly be the same man? At once global and intimate, this bracing Olivier Award-winning play that has become a contemporary classic considers both the social and personal implications of abuse and retribution that remain relevant today. Directed by Cinnamon Schultz after her deeply felt production of Sam Shepard’s “A Lie of the Mind” last season, this gripping story of guilt, suspicion, and revenge will be unforgettable.